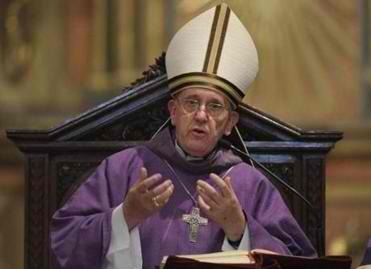 White smoke rises, new pope chosen. Jorge Mario Bergoglio of Buenos Aires, Argentina elected as pope Wednesday to lead the Roman Catholic Church, a prelate announced to huge crowds gathered in St. Peter's Square. Cardinals elected Bergoglio on just the second day of a secret conclave to find a successor to Pope Benedict, who resigned unexpectedly last month. Francis is the patron saint of poverty, simplicity, humility.